William is sick and is staying at a hotel with Greta. Gavin and I had dinner here by ourselves. 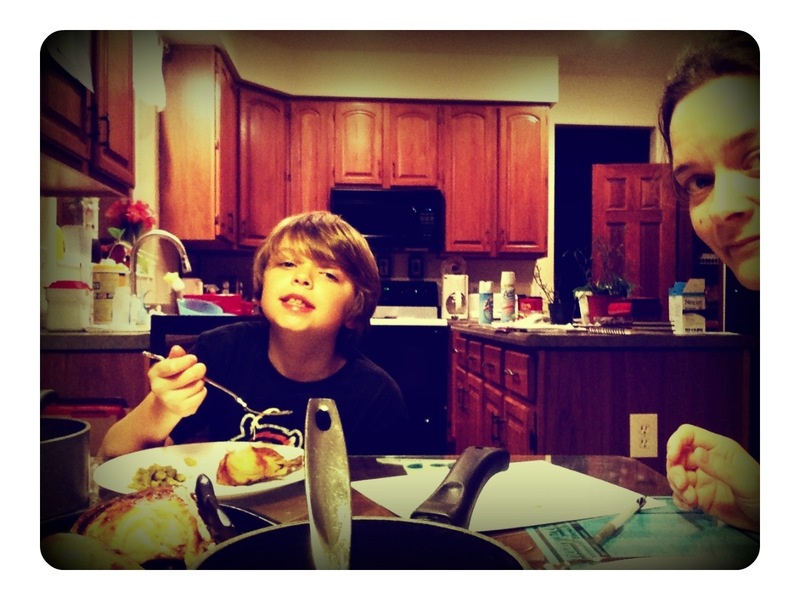 He got to be the Man of the House and sit at the head of the table! Everything is dripping in Lysol, hands are raw from incessant washing, and I’ve started wearing a surgical mask when caring for Nora tonight. I am hoping and praying that this headache of mine is only a result of stress and sleep deprivation! Which I’m sure aren’t revving up my immune system any? I’m choosing to focus tonight on the incredible appointment at the eye doctor this morning! The unexpected news that Nora’s vision is not impinged by her genetic makeup is nothing short of miraculous! I was all but certain she would at least need glasses and was even picking out frame colors in my mind. Nora sees things well, but because of her low muscle tone her eyes aren’t always aligned as they should be. 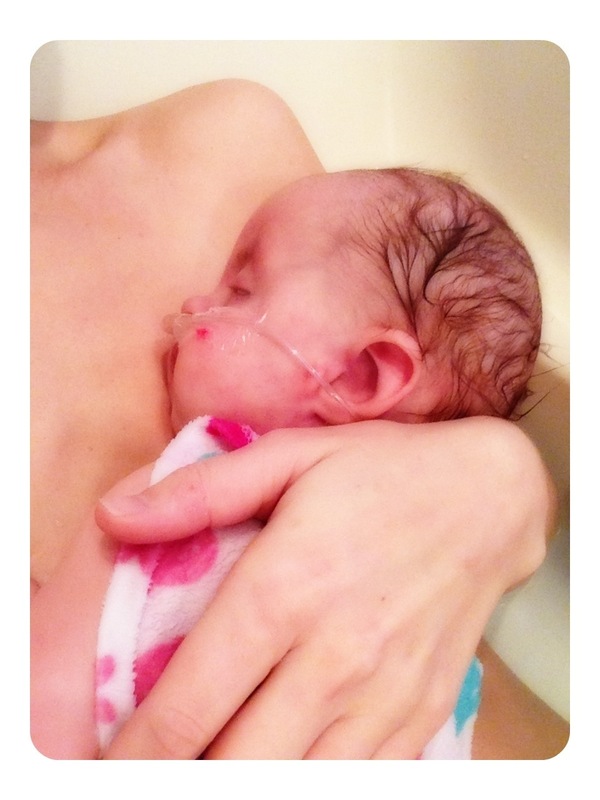 This is correctable by surgery, but it’s too risky to put Nora under anesthesia right now. Instead we’re going to try using an eye patch alterrrrrnating each eye for an hourrrrrr a day, matey. She did soooo good with the first run and squealed the whole way home! I wonder if it enabled her to focus better with the one eye? A good morning at the eye doctor deserved an afternoon baff. Nora got all cozy on Mommy and fell asleep again. Soooooo stinking sweet, she is!! Nora doesn’t seem interested in going to sleep now that it’s night time. If you happen to read this late tonight, please pray for a restful night for all of us, William and Greta included. I hate having them away and not being able to cuddle my big girl, even if she were here. 😦 And I miss my hubz. Please also pray that I’m not getting sick! Despite all of this – at least my baby girl can see! She knows our faces and SEES how we love her! That is awesome and miraculous!!! Praying for rest and health for you and your family. Hehe, I’m the one who reads this just when you are going to sleep, so sending prayers right now across the ocean!!. Sooo happy for the good news at the ophtalmologist !!. But I was certain she sees. Praying also for the ” bug crisis”. Try not to get stressed, Mommy. Wish I were there to help you so you could get some rest. So thrilled that she can see well, praise God! Praying for you all for health. Sweet dreams! 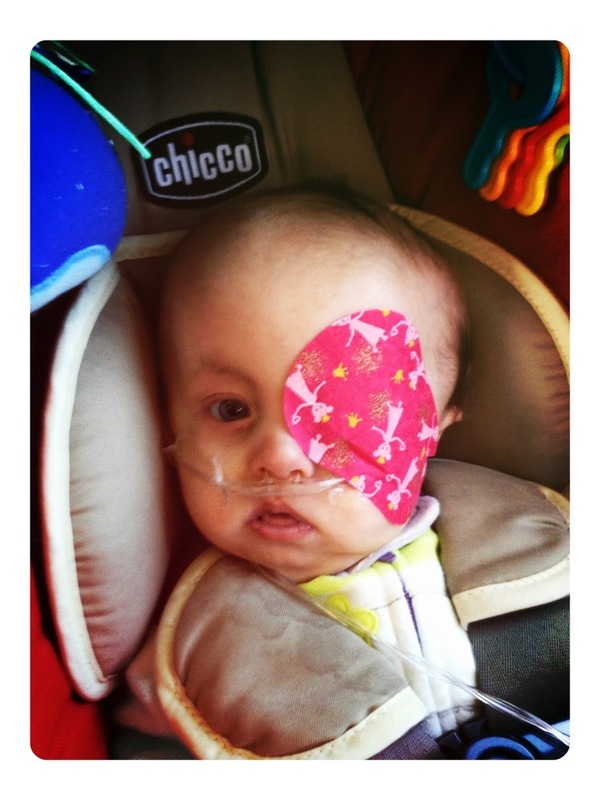 “I wish I could go to the doctor and get a pirate eye patch like Nora’s.” She’s the envy of all the 4 year old boys! So glad for news of Nora’s vision. I will be praying for the family for the germs to pass on by and I pray that you have been able to get some rest. Praying for good health for ALL…especially Nora. This is awesome news. I do pray that your family can be cuddling soon, without fear of making others sick especially little Nora. I had to show how brave nora is to my 3y.o. as she did NOT want to wear her eye patch last night. Thanks Nora for being so brave bc my little Bee wiped away her tears and allowed me to apply her patch. Nora you are an amzing little thing and I love seeing you grow up and being used by God to touch so many lives. Love you, cutie pie pirate.